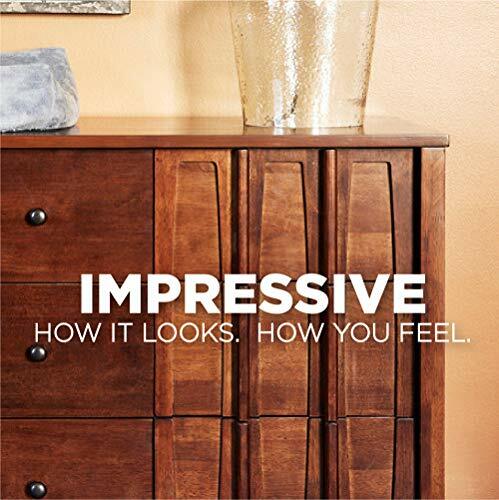 Weiman has been the leading wood care expert in homes since 1941, providing high quality surface care products that impart a beautiful high-gloss finish that every home deserves. Weiman Furniture Cream Cleaner & Polish Liquid and Weiman Microfiber Cloth instantly rejuvenates floors, cabinets & base boards with a brilliant, natural suppleness & sheen that extends the life of wood surfaces while leaving them looking like new. It doesn't just fade existing scratches, it contains a micro-filling technology that prevents new ones from forming! 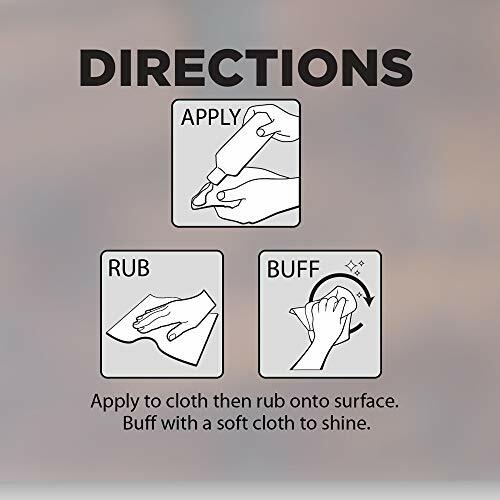 Included is the Weiman Large Microfiber Cloth that is made of a lint-free, scratch-free, fine & gentle mixture of microfibers that will clean productively in one swipe. The Weiman Furniture Cream Cleaner & Polish is made with four deep-conditioning natural oils that gently clean, condition & protect wood furniture while giving your wood surfaces a deep, rich luster that enhances natural wood grain. Perfect for quickly cleaning any wood surface including oak, maple, cherry, birch, walnut, hickory, pine, ash, beech, amendoim, mahogany, tigerwood, kempas, teak, bamboo, engineered hardwood vinyl laminate & stone tile. Contains UVX-15 sunscreen that protects wood from watermarks, stains, aging and sun damage including drying, fading & discoloration. Weiman Products is the perfect home, chef, pro, scratch resistant, cleansing, household, professional, and at work solution for all of your hardwood cleaning and buffing needs. Weiman wants each of the surfaces in your home to look its best. That's why we have developed cleaning products that go beyond simply cleaning to beautify and protect each of your delicate, difficult to care for surfaces. From stainless steel to leather to granite, each of our products is formulated specifically to help you achieve the perfect results that your home deserves. A clean home is great, but we want it to look more than clean, we want it to look spectacular!